Richard and Corrine have moved to the country for a fresh start. But who is the comatose woman Richard has found on the roadside? Why has he brought her into his house? Exactly who is telling the truth and who is lying? 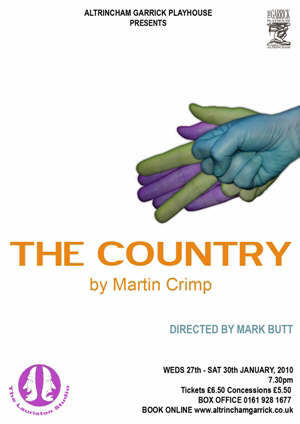 ‘The Country’ is a chilling, suggestive chamber piece, unravelling games of sexual politics, power and class, uncovering the darker side of ‘idyllic’ rural life.